When thinking of some of the greatest Rock-n-Roll drummers, chances are names like John Bonham, Neil Peart, and Ginger Baker come to mind, but how about Bobby Caldwell? Perhaps one of the most under the radar drummers of the ’60s and ’70s era, Caldwell’s style was ever so unique while he sat behind the kit for the likes of legends such Johnny Winter and Rick Derringer before co-founding his own band, Captain Beyond. 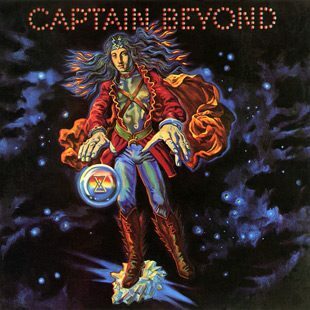 A piece of Rock-n-Roll history to cherish, Captain Beyond also are arguably one of the more underrated bands of their time, originally including a lineup of original Deep Purple Vocalist Rod Evans along with former Iron Butterfly Guitarist Larry “Rhino” Reinhardt and Bassist Lee Dorman joining Caldwell. First wowing audiences with their 1972 self-titled album, over four decades later Caldwell is keeping the legacy of Captain Beyond alive. 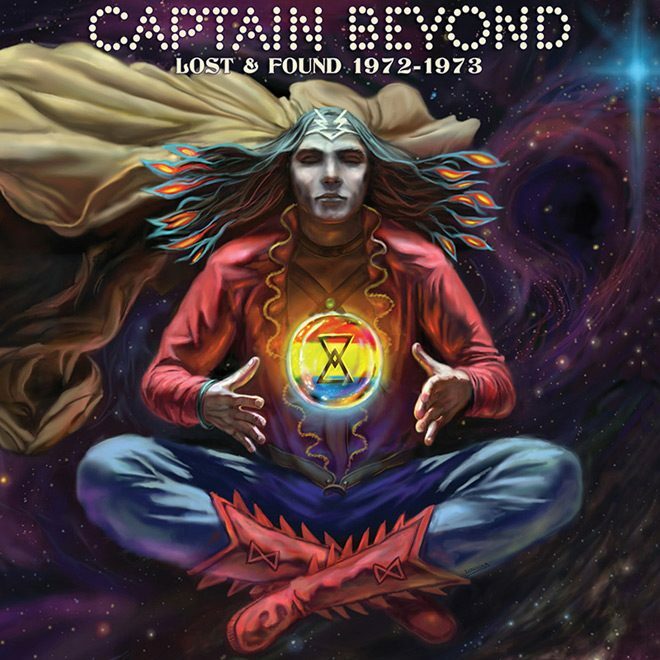 Touring around the US, and recently releasing Lost & Found; a new collection of previously never released tracks from the original Captain Beyond lineup, there is a lot of excitement surround the past, present, and future of Captain Beyond. Recently we caught up with Caldwell to talk his years of experience in Rock-n-Roll, his plans for Captain Beyond, and much more. CrypticRock.com – You have been involved in Rock-n-Roll for over five decades now. 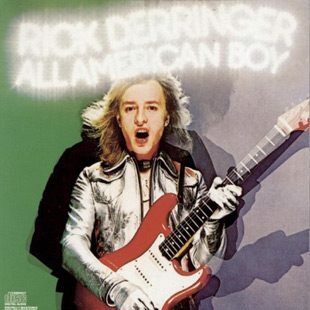 From working with Johnny Winter, Armageddon, Rick Derringer, and, of course, Captain Beyond, you have built quite a prolific career. First, tell me, what has their incredible journey been like? Bobby Caldwell – Yes, it’s been a very interesting journey! Some wonderful highs and some wonderful “Lows” as you would expect (smiles). 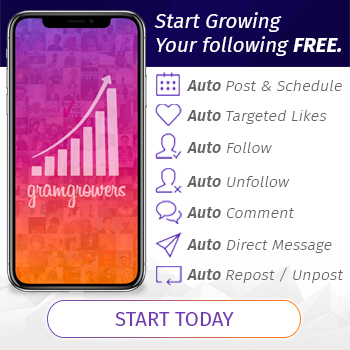 CrypticRock.com – Yes, that is natural with anything in life, there will always be highs and lows. 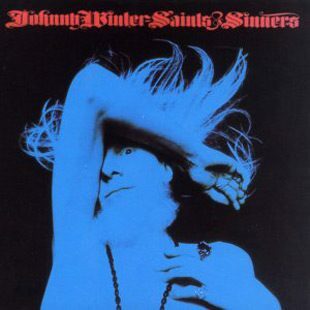 Your style is quite unique, combining Jazz and hard hitting Rock-n-Roll styling. What initially inspired your techniques, and what has been the key for your continued growth as a percussionist throughout the years? Bobby Caldwell – Just listening to Jazz greats and R&B on the radio. Then, when I was about 12 years of age, I went to a Dave Brubeck quartet concert and was never the same after watching Joe Morello. One of the greatest drummers! CrypticRock.com – Very cool, it is interesting to hear where it all began for you. As a co-founder of Captain Beyond, you have been there through the lineup changes, the breakups, and the reunions. 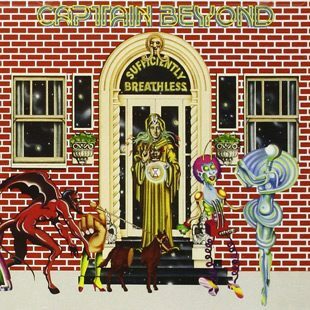 A group of tremendous musicians, what really stands out about Captain Beyond is the song composition. What do you think has been the key to the band’s chemistry during their active years of recording? Bobby Caldwell – Good question! We just wanted to try and do something different! Experimenting and looking at a musical idea from many viewpoints. CrypticRock.com – It certainly seemed to have worked well. 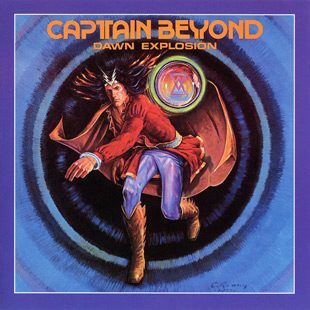 With Captain Beyond, you put out three stunning, well-received albums between 1972 and 1977. As stated, the band has reunited in different formations through the years, and now you are back with a new lineup. You recently released a new compilation of never released tracks from the years 1972 and 1973 called Lost & Found. What led to the decision to put these tracks out there now, and are there more sessions with some unheard gems that could still be released as well? Bobby Caldwell – Well, I have been sitting on these and some others, and because these were the first “ demos” and some songs that Rod Evans had sung that were not published, we would put them out for the collectors! There could be more. CrypticRock.com – Fantastic. Well it is exciting to hear this music and it would be even more exciting to hear more. Captain Beyond certainly are quite an influential band in many aspects. Currently out touring across the US, how have you found the crowd reactions to seeing this modern version of the band? Bobby Caldwell – Very well. It has been extremely positive so far! CrypticRock.com – Now that you have this new lineup of yourself, Don E.Bonzi (guitar), Jeff Artabasy (bass), Simon Lind (vocals), as well as Jamie Holka (guitar) together playing shows, is there a possibility of heading into the studio to record some new Captain Beyond material? Bobby Caldwell – Yes, that is the goal assuredly! 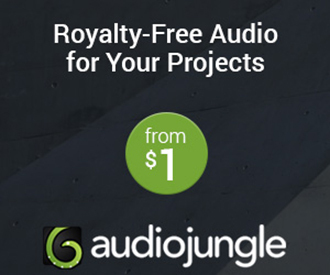 CrypticRock.com – That is exciting to hear. As mentioned earlier, you have really had quite the compelling career working with so many other great musicians. From all these experiences, what are some of the most important things you have learned as a player and songwriter? Bobby Caldwell – I have learned to be humble and strive to make others feel good when performing. 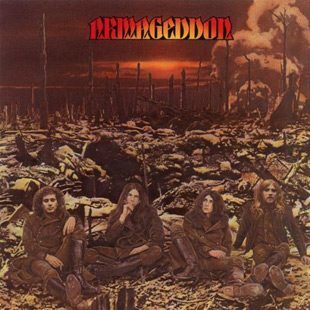 CrypticRock.com – We had briefly referred to Armageddon earlier, and this was another exceptional, but short lived band. Are there any Armageddon unreleased recording sessions floating around out there? Bobby Caldwell – Maybe… I am not sure just yet. 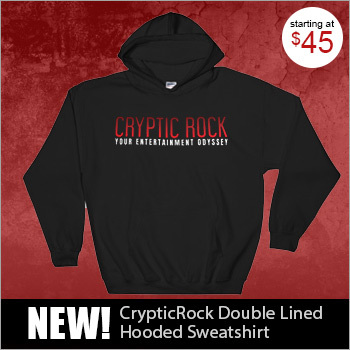 CrypticRock.com – Being involved in Rock-n-Roll all the years, you have seen trends come and go. There are so many subgenres of Rock now it is often hard to keep up. What are your thoughts on the modern Rock scene? Bobby Caldwell – Oh boy! Let’s see. There isn’t much of a chance for the new bands to achieve the scale they might like. That is mostly due to the fact that there really isn’t any music business as there once was. CrypticRock.com – That is very true. My last question for you is pertaining to film. CrypticRock.com covers all forms of music as well as Horror/Sci-Fi films. If you are a fan, what are some of your favorite films in these genres? Bobby Caldwell – I would say all the early Horror films from the ’30s and ’40s, and some newer ones. Films like The Shining (1980).